Boom! We are already in May, like seriously? Where has the time gone? 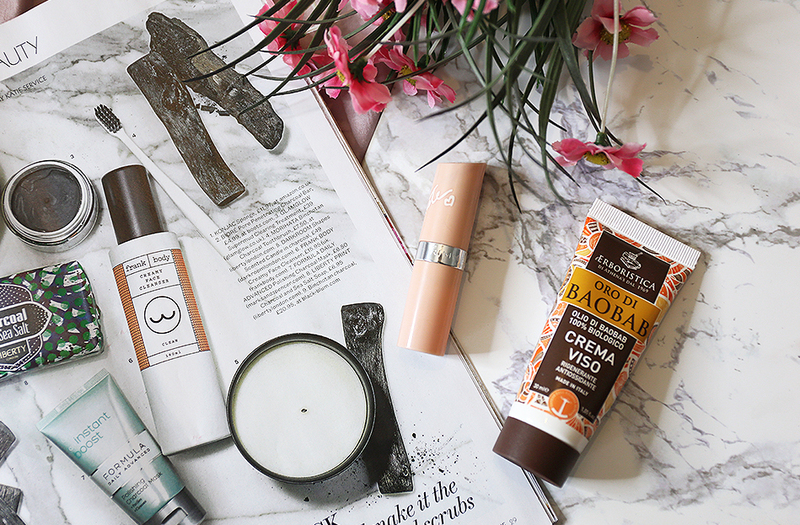 Well, I can’t make too much of a rant here, so let’s skip to the good part… my April’s beauty faves. 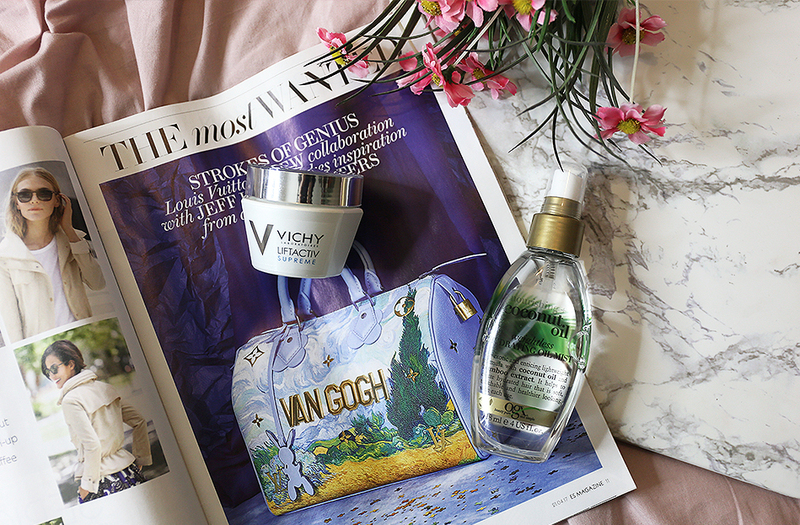 My favorite face cream of the month is by Vichy and it’s the Liftactiv Supreme Dry to Very Dry Cream. One of the best creams for my skin and my age. Okay I am not that old, but I need to prevent aging, right? If you remember me showing the Coconut Water by OGX last month, saying it was a very good purchase, well… now it’s the Coconut Oil by OGX one of the best hair sprays I have tried so far! It’s not just lightweight, but it also leave my hair softer and kind of nourished. My most used lipstick of the month has to be the Kate Moss Lasting Finish number 45 by Rimmel. The perfect color for Spring days! It was also a great match to more colorful clothes I tried on. My second favorite face cream is the Oro di Baobab Face Cream by L’Erboristica, which is an Italian brand. I have to say I use this cream pretty much in all body parts expect my face! 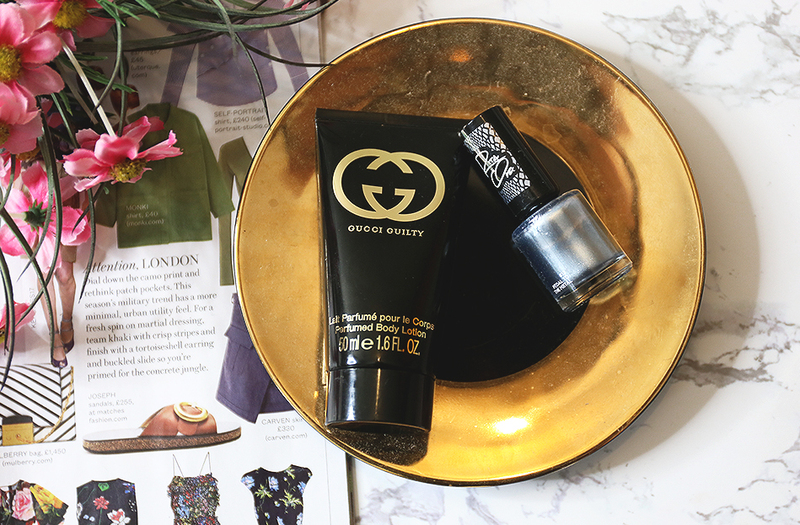 It’s just very rich and moisture and I prefer to use it for my hands, feet and body. 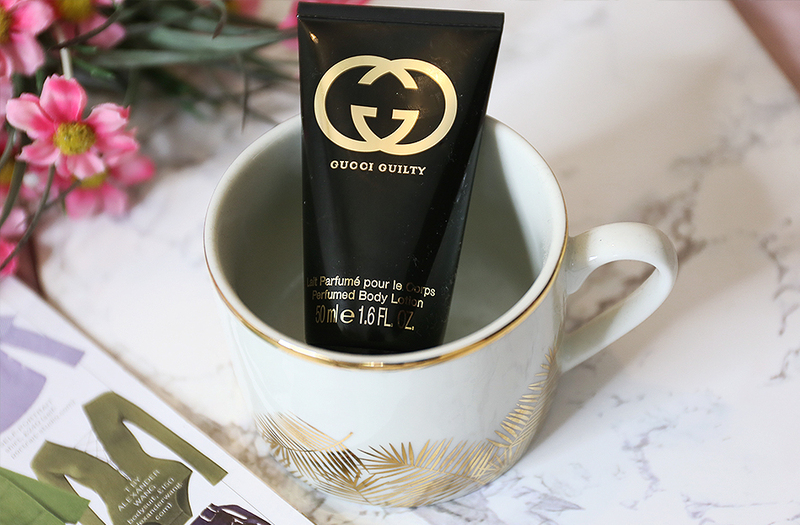 My fave body cream is by Gucci Guilty and it’s an absolute timeless fragrance. It’s just so divine! My recent fave nail polish has been the 812 Pedal to the Metal by Rimmel. It’s blueish greyish color has been complementing the London weather throughout the month!